This paper presents reflection and analysis about the ways in which public spaces in contemporary Romanian cities have been evolving, highlighting a concern with the alarming growth in gambling facilities over the last decade. In order to understand the gambling environment, and its implicit discourse, I used participative observation over a span of ten years and interviews with gamblers and their relatives. This qualitative data is analysed through the lens of Mary Douglas’ Cultural Theory, with special accents on fatalist way of life, which characterizes the group of gamblers. Gambling facilities act like codes deciphered by different groups of players, in turn enacting a kind of control upon their social and private lives. In this process, the players become fatalists, who rely on fate or perceived chance, limiting their autonomy and controlling the choices they make. Betting shops and pawn shops replaced the once traditional community shops, promoting the gambling industry, which prospers on the players’ addictive behaviour. Addiction is responsible for criminality in different forms and for substance abuse. With the almost daily exposure to this environmental and social setting, adolescents and youth internalize gambling as part of their social capital and their identity. In the absence of any local policies, the implicit message sent by local authorities to the public is that profit maximization prevails against all odds. When local territorial identity is understood as closely linked to sustainable, participatory and place-based development issues, it can become a dynamic, open, and plural social construction process, through which collectivities/groups choose the distinctive characteristics of the territory they inhabit, in order to develop shared views and common targets for policy implementation. 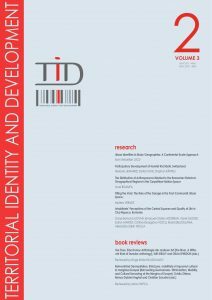 In this sense, territorial identity is not to be ‘unveiled’ or ‘discovered’, but ‘built’ through a research-action focused on the opinions, attitudes, and expectations of local collectivities towards the territory they live or act in. As a research topic, local territorial identity is far from easy to deal with. Based on the key issues raised during the works of the national research group “Territorial Identities” of A.Ge.I. 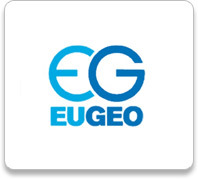 (Association of Italian Geographers), founded in 2008, the contribution aims at presenting some theoretical and methodological questions and pitfalls in studying territorial identities, proposing some possible answers. The urban nightlife consumption is an important anthropogenic phenomenon that should be taken into consideration within the urban and spatial planning context, especially because its effects influence territorial evolution, as well as the population’s lifestyle and well-being level. The aim of the present investigation was the assessment and the radiography of the nocturnal urban life of Bairro Alto neighbourhood, in Lisbon. For this purpose, we combined a series of research methods, such as the literature review, the semi-structured interview, the participatory observation, the photographic collection, the cartographic method, the analysis, and the synthesis. Findings showed users´ profiles and highlighted their visions and preferences regarding the usage and functionality of Bairro Alto, yet revealing that night-time activities play a crucial role for territorial identity consolidation within the urban space, by fostering the social and economic dynamism of the city. 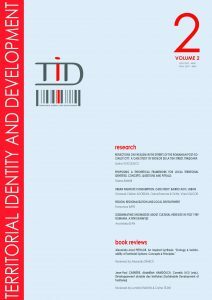 This contribution aims to stimulate a critical reflection about local development, with particular attention to the role of regionalization practices in the construction of territorial identity processes. It is believed that the identification of specific areas is essential in public policies that aim to promote local specificities, especially in reference to strong areas of excellent territorial capital, not properly valued. This is the case of the Upper Aniene Valley, the study area of my PhD research project, for which there is no shared regionalization, neither from the scientific world, nor from the political-administrative one, and in which the construction of a shared territorial identity is hindered by the absence of training and information models that allow the people to know the territory where they live or work. 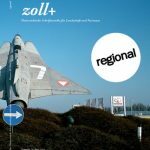 In this contribution, after highlighting (in the introduction) the importance of regionalization processes in the social and political construction of space, the case study will be presented, underlining the difficulties encountered during research and in the methodology that is intended to be applied in the regionalization of the Aniene Valley. It is believed that this operation is preliminary to any attempt to intervene in the territory. The article investigates several examples of instruments used in Romania, since the fall of Communism, for heritage education and/or studies, in an attempt to highlight how local and national cultural heritage has been made known to the general public and what achievements and challenges occurred during this process. With the help of four different case-studies, we look at how the methods of presenting cultural heritage have evolved over the years. Today there is a variety of available printed or digital resources for heritage education and their number, as well as their quality, is constantly increasing. The importance of heritage preservation equally gains weight in the Romanians’ mind. However, a lot of work still remains to be done, one of the biggest challenges being to put together the expertise of different specialists (architects, historians, geographers, ethnographers, etc.) for a proper valorisation of the local, regional, and national heritage.